Organic themes has been purchased 23, rating: 4/5 based on 4 reviews. 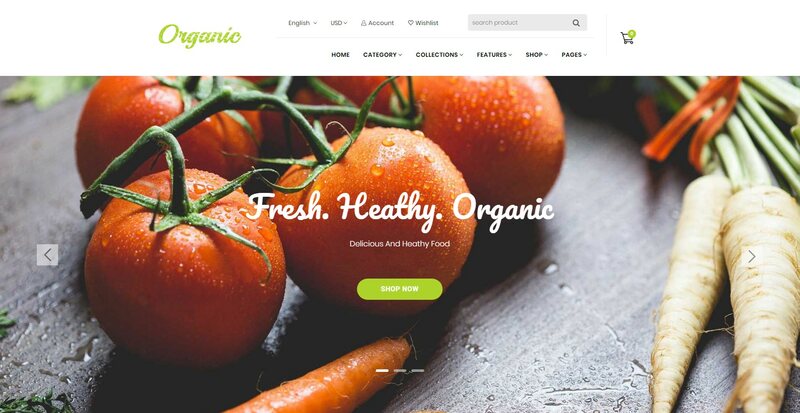 Organic is a great Shopify theme for online stores that is designed specifically for organic stores. Developed by CleverSoft, Organic offers the powerful modules and features required for Shopify. In addition, Organic is compatible with all devices such as tablets, laptops, computers, mobile, etc. In addition, Organic Shopify theme includes a flexible control panel, so even you are a beginner in business, you can also manage your store effectively.